Developed in Detroit and made to compete against European roadsters being imported to the United States in a post-war era, the Kaiser Darrin featured an attractive design. Editor’s note: This is the 10th in a 30-day series featuring cars from the Tammy Allen Collection to be sold October 13-15 at Barrett-Jackson’s 2016 Las Vegas Auction. Developed in Detroit and made to compete against European roadsters being imported to the United States in a post-war era, the Kaiser Darrin featured an attractive design and was the first fiberglass sports car in America, beating the Chevrolet Corvette into production by one month. Unique to the Darrin is a set of doors that slide into the body. This element of design was the first of its kind and has gone unmatched. 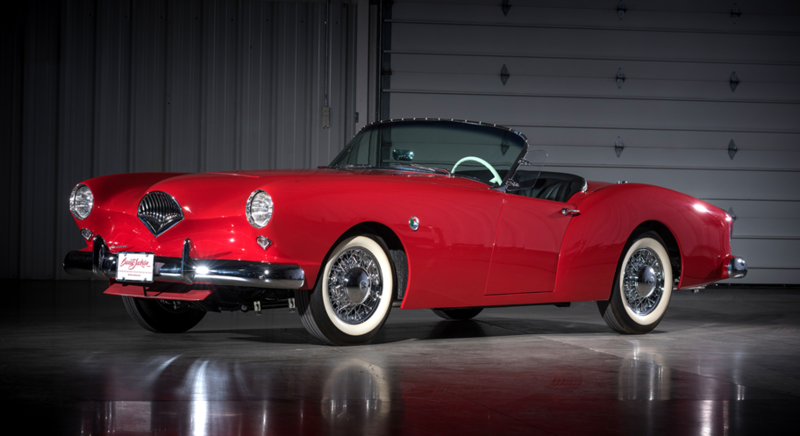 While performance was good, the Darrin was underpowered and was not able to keep up with foreign vehicles in its class, cars such as the Nash-Healey or Triumph TR2. Coupled with the Darrin’s high price tag and practical challenges with the car’s design, only 435 Kaiser Darrin’s were produced. Offered without reserve at the Barrett-Jackson Las Vegas auction from the Tammy Allen collection is car No. 26 of the 435 produced. The car has been the subject of an older full-rotisserie restoration. The convertible is powered by a Willys 161cid flathead straight-6 engine with a McCullough Supercharger, rated with 125 horsepower, and mated to a 3-speed manual transmission with overdrive. Additionally, this example features the optional leather upholstery. 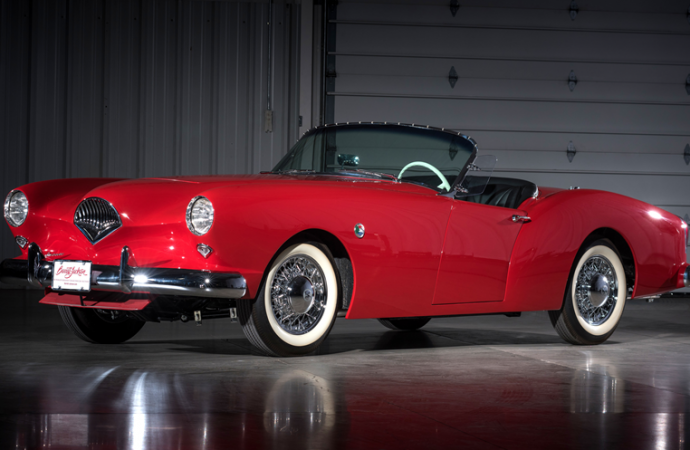 This 1954 Kaiser Darrin supercharged convertible and the rest of the Tammy Allen Collection will be crossing the block at no reserve as part of Barrett-Jackson’s ninth annual Las Vegas Auction, October 13-15 at Mandalay Bay Resort & Casino. For more information, visit www.Barrett-Jackson.com/Bid or call 480-421-6694. Absentee bidding options powered by Proxibid are also available.